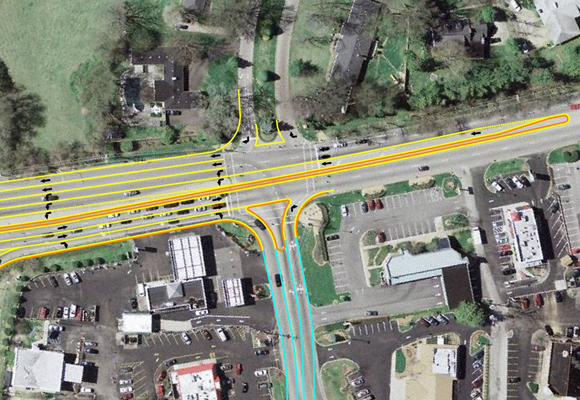 Palmer Engineering was selected by the KY Transportation Cabinet for a Planning Study and an Environmental Overview to analyze potential solutions to relieve congestion at the US-42 Interchange at I-264 (Watterson Expressway). This area is plagued by heavy congestion caused by both high traffic volumes and lack of adequate access management spacing along US-42. Traffic Forecasting was performed to develop reliable design and intermediate year forecasts that included four upcoming developments in the area. With input received from a Local and Neighborhood Officials’ Meeting, 5 initial alternatives were developed. Additionally, an integral part of the planning process was coordination with the FHWA on critical issues to determine feasibility. Included in the Planning Study were interim improvements for the preferred alternative and low-cost options that can be constructed if limited funding is available.